The canal is located directly behind the marker. Location. 29° 0.799′ N, 80° 57.153′ W. Marker is in New Smyrna Beach, Florida, in Volusia County. Marker is at the intersection of State Road 44 and South Walker Drive, on the right when traveling east on State Road 44. Touch for map. Marker is in this post office area: New Smyrna Beach FL 32168, United States of America. Touch for directions. Other nearby markers. At least 8 other markers are within 3 miles of this marker, measured as the crow flies. Old St. Rita Colored Mission Church (approx. 1.4 miles away); Dr. Andrew Turnbull (approx. 2 miles away); To the Past... (approx. 2 miles away); Anniversary of Shelling by Union Gunboats (approx. 2.1 miles away); Turnbull Canal (approx. 2.1 miles away); Site of Sheldon's New Smyrna Hotel (approx. 2.1 miles away); 1768 British Colony of New Smyrna (approx. 2.1 miles away); Site of Old Stone Wharf (approx. 2.1 miles away). 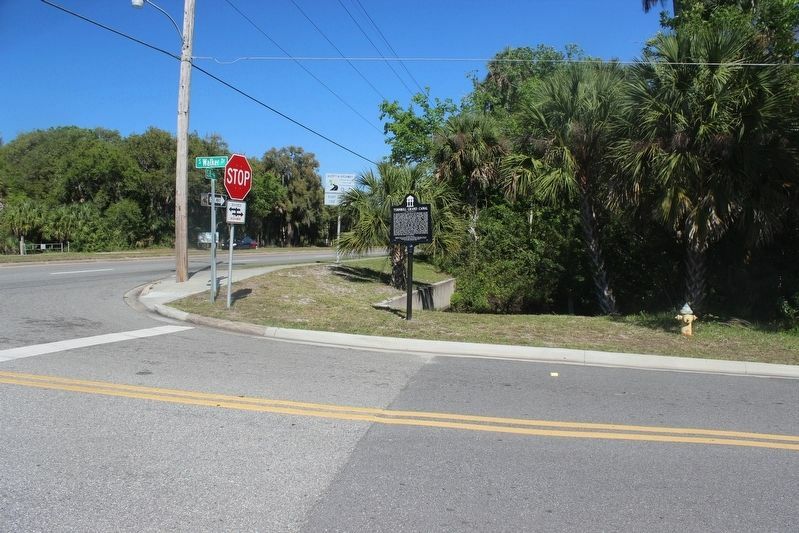 Touch for a list and map of all markers in New Smyrna Beach. More. 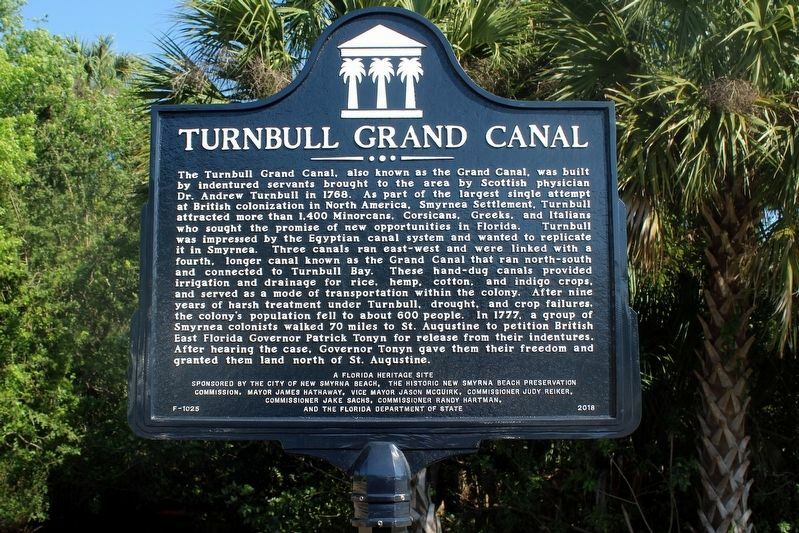 Search the internet for Turnbull Grand Canal. Credits. This page was last revised on March 25, 2019. This page originally submitted on March 24, 2019, by Tim Fillmon of Webster, Florida. This page has been viewed 22 times since then. 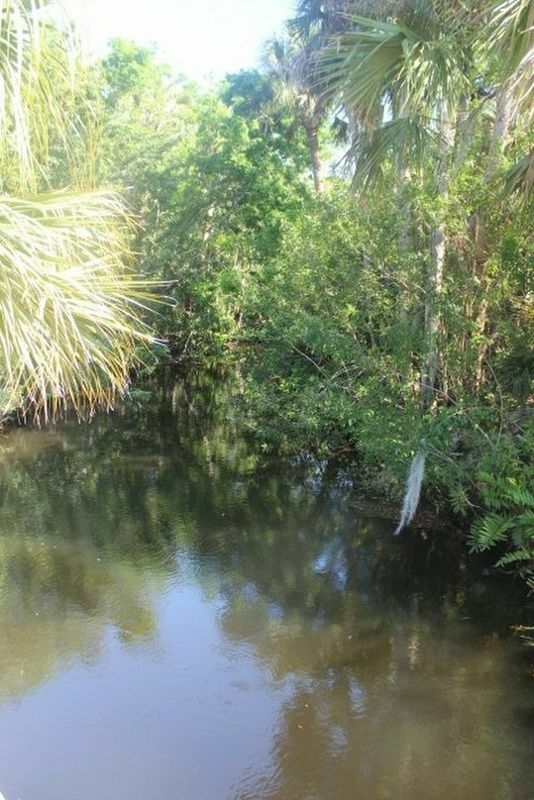 Photos: 1, 2, 3. submitted on March 24, 2019, by Tim Fillmon of Webster, Florida. • Andrew Ruppenstein was the editor who published this page.